Lillian Imogene (Jean) Moffett Royal, 94, died on January 2, 2017. Born May 20, 1922, in Stockdale, Texas to the late Katie Bell Cameron Martin and R.L. Moffett. She graduated from La Vernia High School in 1940. At the age of 11, Jean lost her oldest brother Glen at the age of 6 in 1932 to an unknown illness. It was said they were inseparable and she was heartbroken when he passed. Jean worked for Tunes Wholesale Florist in San Antonio while attending night school at San Antonio College to learn accounting/bookkeeping. Later she worked for many years at White Cross Pharmacy as their head bookkeeper. She met Dudley D. Royal and they were married on June 10, 1964. Together with their children Mike and Sharon they would go to Rockport fishing almost every weekend in the spring and summer. In the fall and winter there was dove, quail and deer hunting. Later they would go to Port OConner where they kept a place to fish with Mike. Jean, as she was known, worked for Atascosa County as an Assistant Auditor under Lucy Flores. 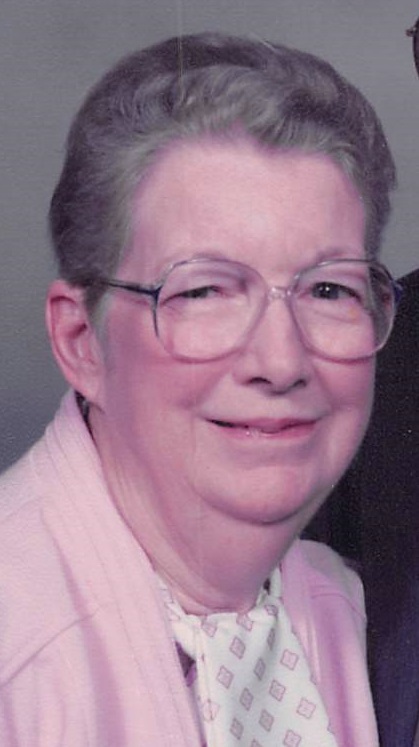 She also kept the books for Dudleys grocery store, Royal Grocery and helped in earlier years with his firework stands and later on with his mobile home rentals and storage rentals. She was a member of the United Methodist Church. Jean and Dudley were regular visitors to Coushatta casino in Louisiana and to Las Vegas. She loved the slot machines while Dudley would play poker. In later years they were still going in their 80s to Eagle Pass Lucky Eagle casino. They would go on many trips with the Senior Circle and had many friends from Pleasanton to Florida to Michigan. Mrs. Royal is survived by her daughter, Sharon Woolsey Dornak and husband Patrick; her son Michael D. Royal and wife Elizabeth; granddaughters Sharolynn Boyd and husband Britt, Stephanie Yon and husband Neal, Lynnette Dornak and Terry Gasinski and husband David; grandsons Scott Michael Royal and wife Michelle and Parker Dee Royal; two sister in laws, Jane Culp and husband Hilton and Caroline Nicol; brother in law Charles Marion Royal and wife Mary Jane. She also leaves behind nine great-grandchildren, Tyler Ross Richter, Kyle Ferguson, Andrew and Cole, Anthony Partida, Bryn Boyd, Afton Dudley Royal, Arkaidian Partida and Nadja Gasinski and many nieces and nephews. Preceded in death by her parents and husband Dudley Dee Royal, brothers Glen Cameron Moffett and Bobby Moffett. Visitation will be held at Hurley Funeral Home in Pleasanton on Wednesday, January 4, 2017 from 3 – 8 p.m. Funeral service will be held at United Methodist Church of Pleasanton, 420 N. Main Street, on Thursday, January 5, 2017 at 10 a.m. Interment will follow at Pleasanton City Cemetery. Pallbearers for Lillians service will be Scott Royal, Parker Royal, Tyler Richter, Britt Boyd, Jack Jordan and J.D. Smith. Honorary Pallbearers will be Bryn Boyd, Arkaidian Partida and Afton D. Royal.